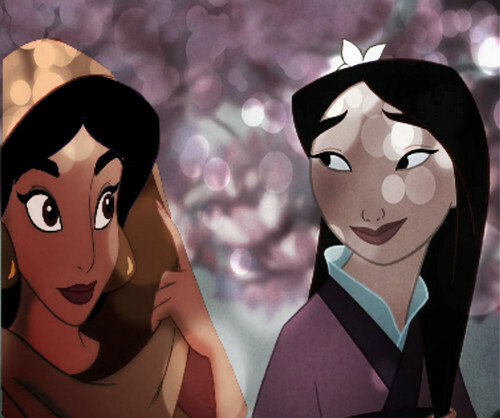 hasmin & Mulan. I pag-ibig the way it turned out :). HD Wallpaper and background images in the disney crossover club tagged: disney crossover jasmine mulan princess pair.